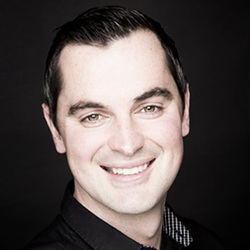 Karl Henry is Ireland's most recognised and leading Personal Trainers. He is well known for his role as the leading fitness expert on RTÉ One’s Operation Transformation since it began twelve years ago. In 2018, Karl released his fifth book called ‘Karl Henry’s Healthy Living Handbook’. The book offers an encouraging, practical, affordable and sustainable plan to help the reader achieve lasting changes in their wellbeing and has become a number one best seller as well as achieving a second print run. ​2018 saw Karl launch his first podcast series entitled 'The Real Health Podcast with Karl Henry'. ​Karl is joined by a variety of guests each week from all different walks of life. Previous guests have included U2's Adam Clayton and Radio and TV Broadcaster, Doireann Garrihy. The podcast motivates, empowers, educates and inspires listeners to live a healthier and happier life. Karl previously wrote for the Irish Independent every Monday. He has successfully published four other books to date, including Real Results with Karl Henry, Bums Tums and Bingo Wings, The Slim Solution and Beach, Bums & Tums. ​As well as doing personal training, writing and media work, Karl also specialises in Corporate Fitness and Wellness. From one off lectures to full corporate health and wellness solutions, Karl works with some of the top companies across the country to deliver results that last and programmes that work.